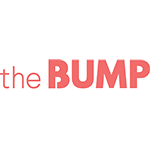 The Bump is the definitive voice for millennial parents and parents-to-be, providing a mobile-first experience, real-time expert advice, diverse lifestyle content and time-saving tools for parents on-the-go. As the go-to destination for first-time parents, The Bump utilizes its single-list technology to aggregate and sync baby registries from multiple retailers onto one, easy to use list for parents who are managing their registries and those buying for baby. Â The Bump is part of XO Group Inc. (NYSE: XOXO), the premier consumer Internet and media company devoted to weddings, pregnancy and everything in between.